Evros. 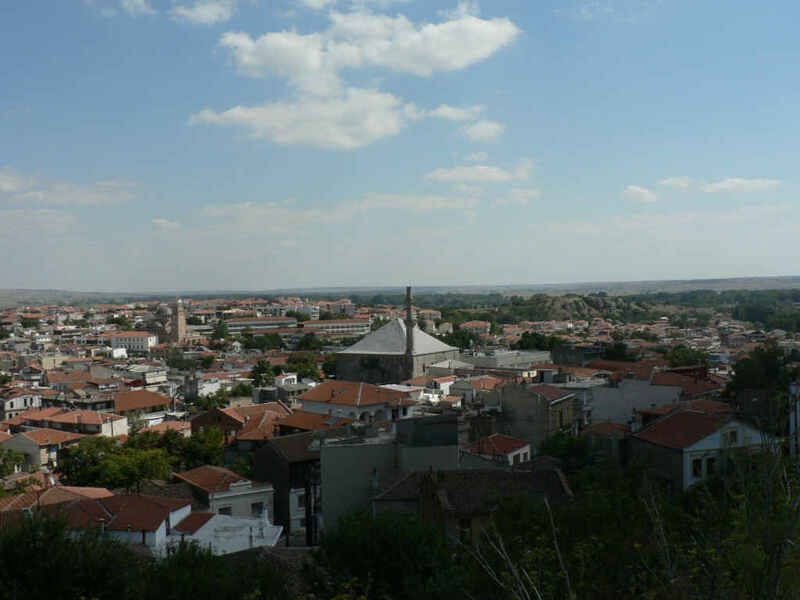 Evros is a prefecture of Greece, it is located in the Greek region of Thrace, in the northeastern part of Greece. 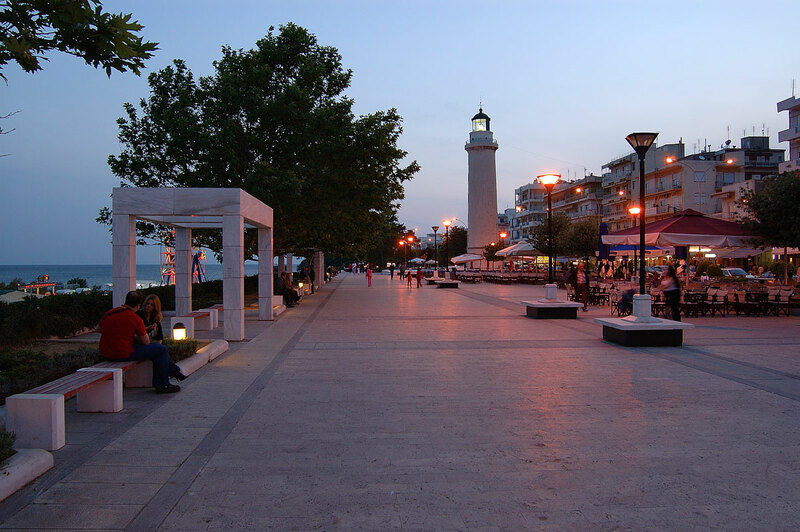 It's one of the largest of the largests of Greece, its capital is the city of Alexandroupolis. The prefecture of Evros is named after the river Evros, the largest river in the Balkan. 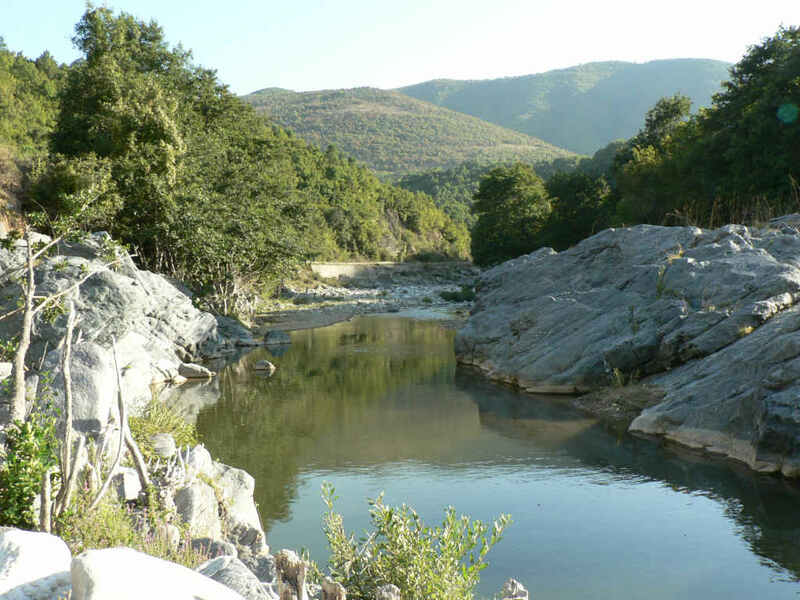 The river Evros is also the natural border between Greece and Turkey. 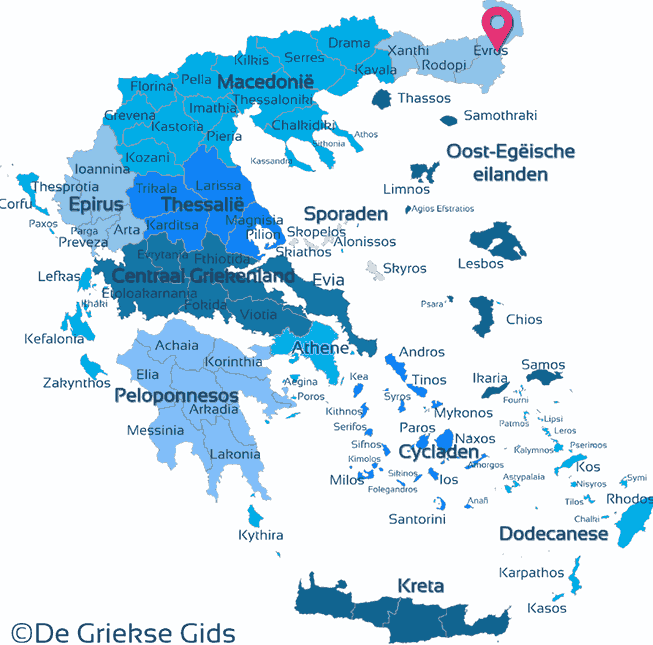 Prefecture Evros borders to the west to the Greek prefecture of Rodopi, to the south to the Aegean sea and to the north to Bulgaria. The prefecture covers a total area of 42 sq.km.. It's a beautiful area, with dense forests and habitats of great ecological significance. There are historical towns and major attractions. There is a unique beauty end excellent landscapes, very famous are the Dadia Forest and the Evros Delta. 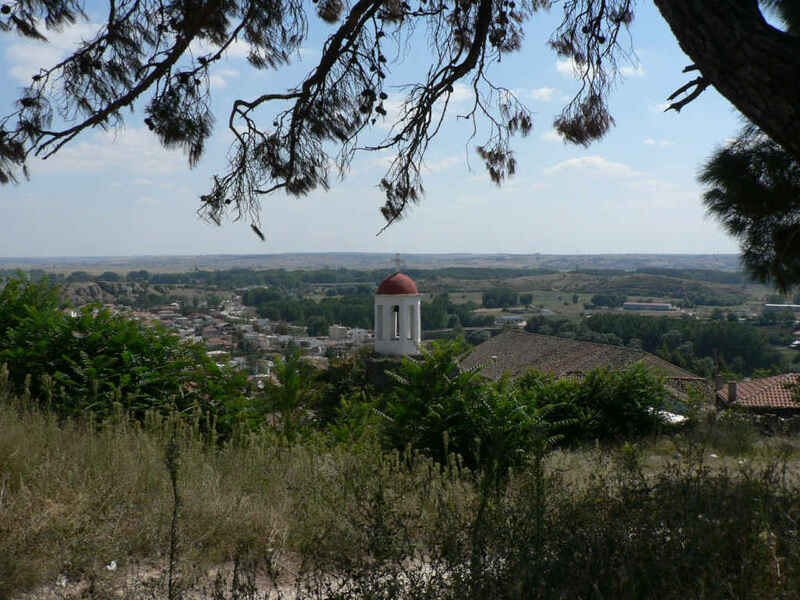 Only 10% of the region is mountainous, Evros is very fertile and flat, the main occupation of the inhabitants is the cultivation of their land and the agricultural production. Farmers grow mainly cotton and wheat, there also many stock breeders. During the last years, an increasing part of the young population is turning to tourism industry. At the coast near Alexandroupolis, lots of new hotels have been built and the young ones try to find a job in the tourism sector. 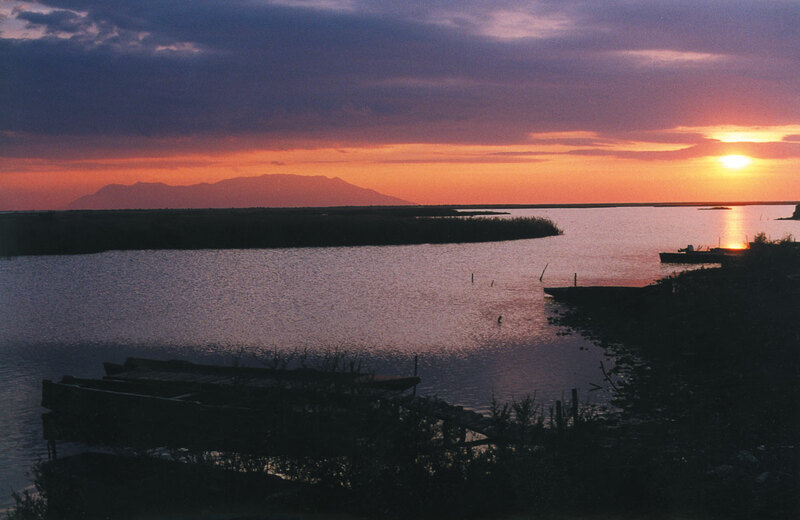 In Thrace, on the border with Turkey, the Evros river forms a very exceptional Delta. It covers an area of 200 km.sq. and it unique because of the presence of rare plants and animals. 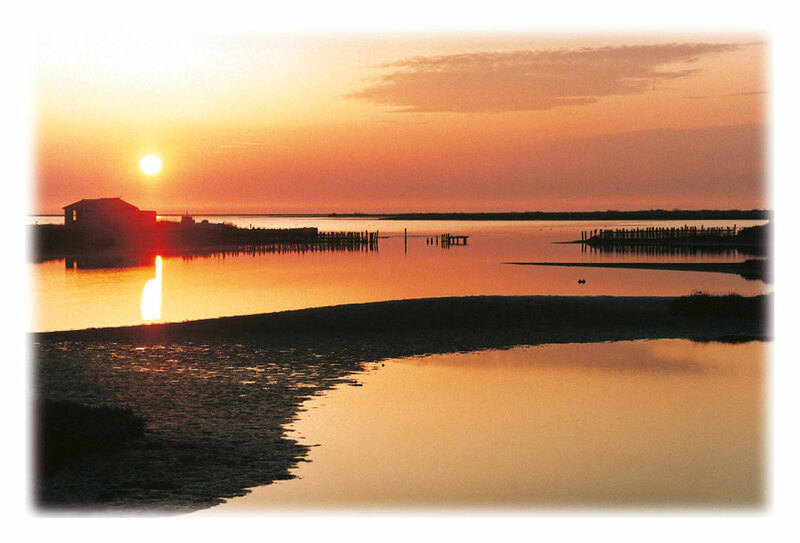 In the delta of Evros all possible formations are included like lagoons, islets, sandy beaches. 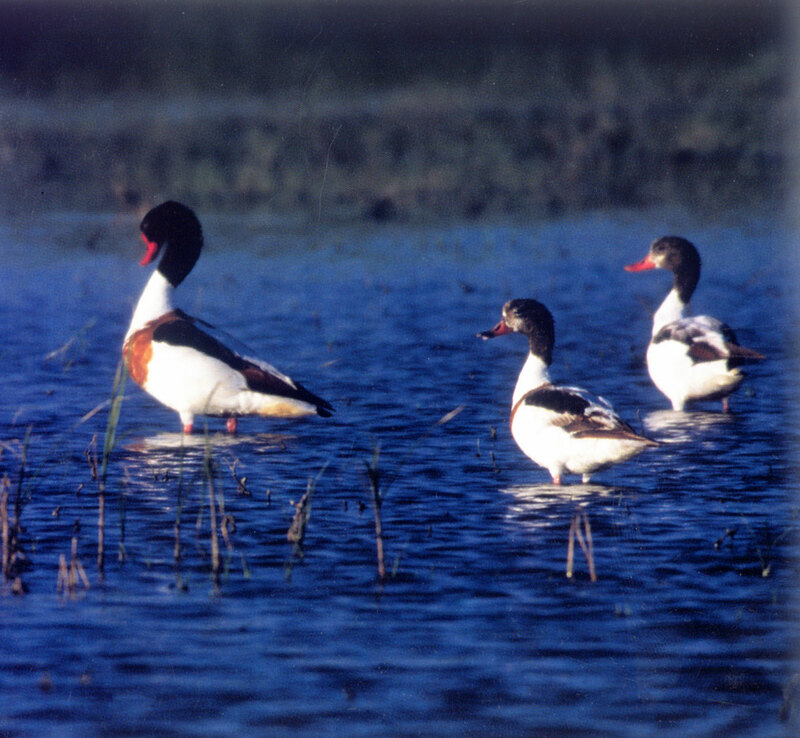 The Delta contains a unique variety of species and is a wetland of international importance, the area has been characterized as a Special Protection Area. In total, 314 bird species have been described, a very high number, especially when you compare it with the total number of bird species in Greece (412). It is an important wetland for migration and for overwintering of many bird species. Hundreds of thousands of birds, mostly from northern Europe and Russia can be observed here. 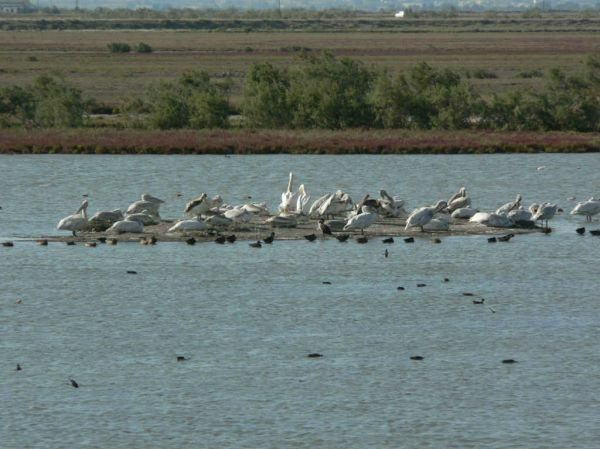 Pelicans, swans and ducks are feeding in the lagoons of the delta in winter. During the twilight one sees them migrating to the south. 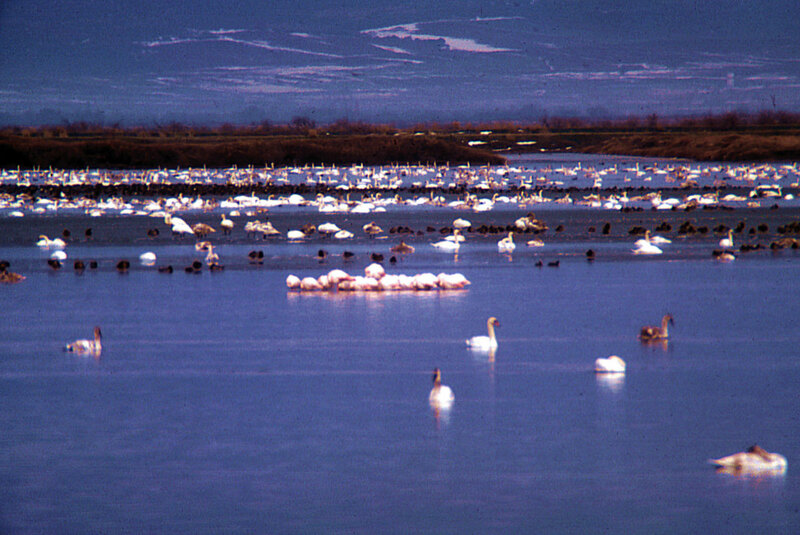 A large number use the wetland as an intermediate stop for migration from Europe to Africa and back. 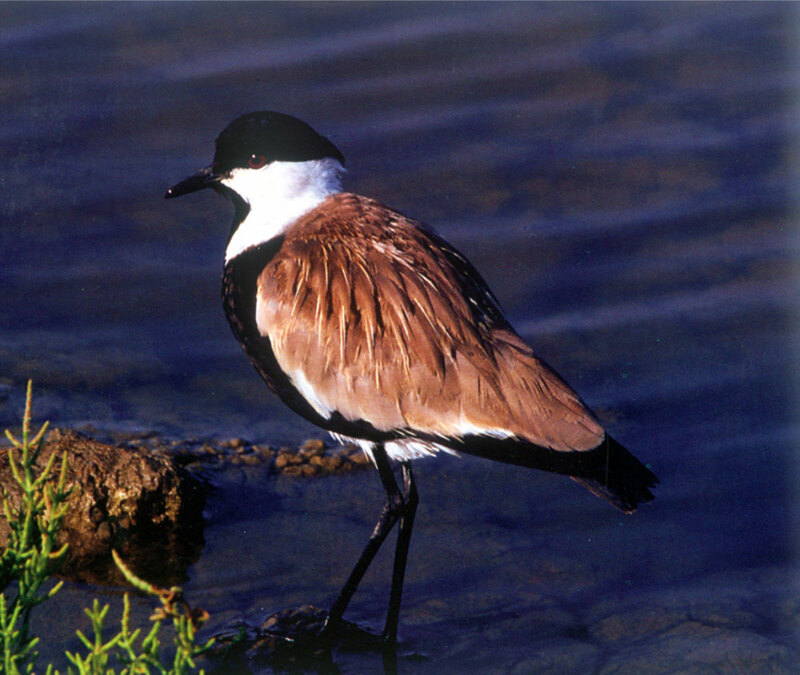 The rich biotopes host a unique diversity of fauna. In the river live 46 species of fish like the mulet and the common carp. In the broader area are more than 40 species of mammals and 28 species of reptiles and amphibians. The Dadia forest covers the southeastern part of the Mountain Rodopi. 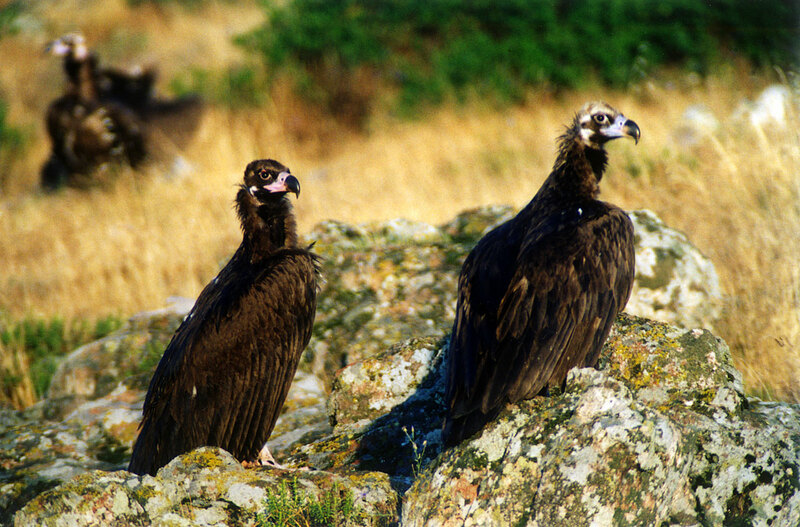 It is known for its large forest of pine and oak which is home to rare birds such as all kinds of hawks and eagles. The scenery is diverse, pine and oak forests, white rocks and steep slopes, gorges and rivers, meadows and cultivated areas. Here live many wild animals like the wolf and the jackal. There is a rich reptile population, 41 different species live here like turtles, lizards and snakes. But also rare birds like the Black stork . The ancient zone of Messimvra and the cave of the Cyclops. The Byzantine Wall in Didimoticho which consists of 10 towers. The cave of teh Saints Theodoroi in Avantas and the castles of Avantas. 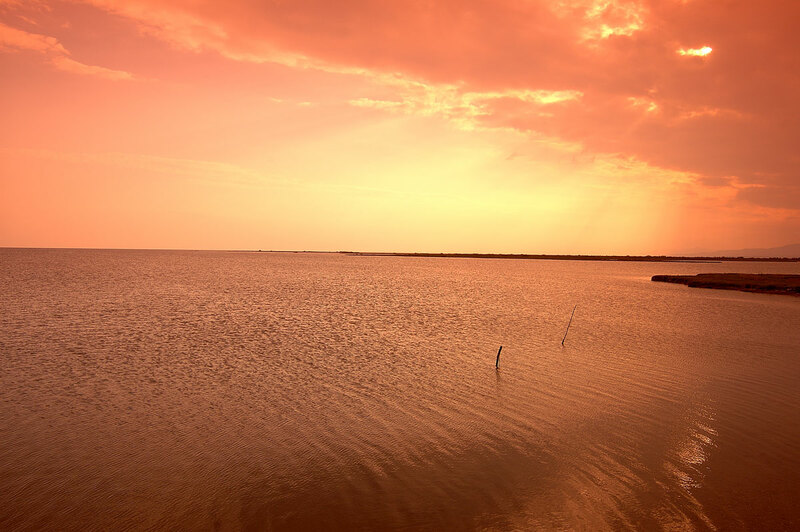 The several lakes of Evros like the ones in Orestiada, Soufli and Didimoticho. The Macedonian Thomb in Elafochori. The Byzantine Cathedral Panagia Kosmosotira in Feres. The Ethnological and historical museum of Feres. 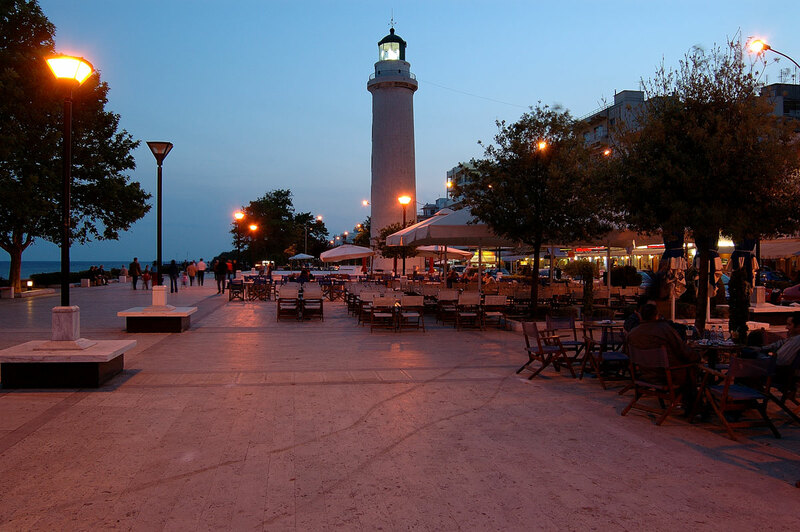 The Historical, Ecclesiastical, Ethnologic museums of Alexandroupolis. The beaches of Alexandroupolis, Dikela, Agia Paraskevi, kokkina Vrachia (Red Rocks). The petrified forest of Tychero. Evros: Where on the map is Evros located?